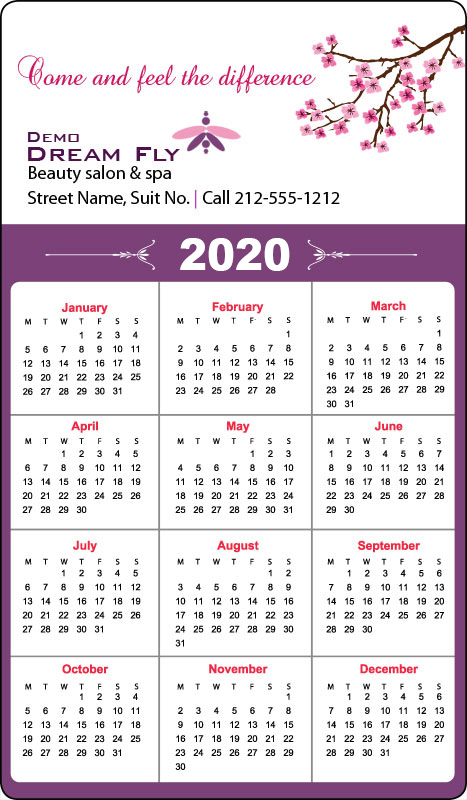 Your beauty business will receive a new facelift with this customized 3.5 x6 inch round corners beauty salon calendar magnets – 20 MIL. This magnet is sure going be a massive hit with targeted and existing customers. Works perfect for beauty salons, fashion marketers, spa & resorts and many others. Investing in this magnet is a fun, inexpensive, value effective and great way to build your business and bottom line! Attractive price benefits and other value advantages can be expected on bulk orders. 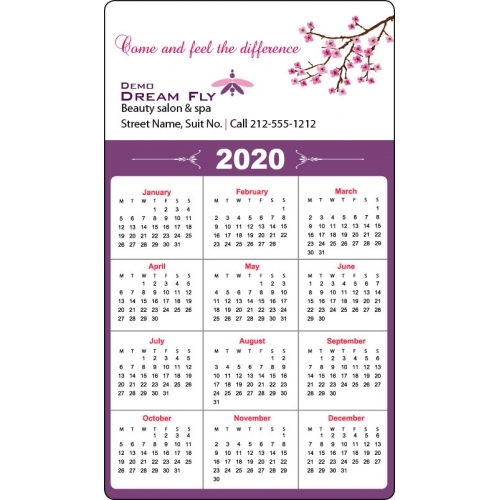 Request a quote to know discounts that you can avail on wholesale custom 3.5 x 6 inch round corners beauty salon calendar magnets – 20 MIL. Product size – 3.5 x6.